WHY: The Kickers and DC have a little history and it is sorted. In Richmond this time. Should be a great one. WHY: I like this game because LA will be in Cary, NC for a meaningful game and hope the Geoff and Matt get to attend with their families. WHY: Two pro teams from Ohio playing in a meaningful game. Not sure if or the last time that has happened, but it's very Ohio to have teams from the same state fight it out. I hope that, as time passes, this happens more often. WHY: It's at Blackbaud! It's NY at Blackbaud! What more do you want? The Seattle Timbers v. The Portland Sounders. I really think it is great that NASL and USL Pro teams are getting to host some of these matches. I've read that Portland paid a sizable sum to lower division Cal FC in order to play the game at the Timbers home ground of JELD-WEN Field. I also just pulled up the Seattle Times to find out if the Seattle Sounders did the same thing in bringing NASL side, Atlanta Silverbacks, to Seattle... of course they did. Somehow this classless move reminds me of the Mike Fucito move Seattle made right before the start of the season. There is a disconnect and it is bizarre behavior that insults an intelligent and passionate fanbase. It is expected that Atlanta's fans are not happy about accepting the offer from Seattle to change the venue. 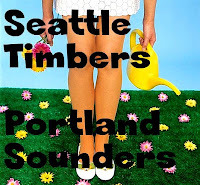 I wouldn't be either were I a fan but I put the owness squarely on the shoulders of the Seattle Sounders. They are the adult in this situation. Playing in Atlanta only helps the sport in this country. What does the sport gain by playing at Starfire in Seattle? 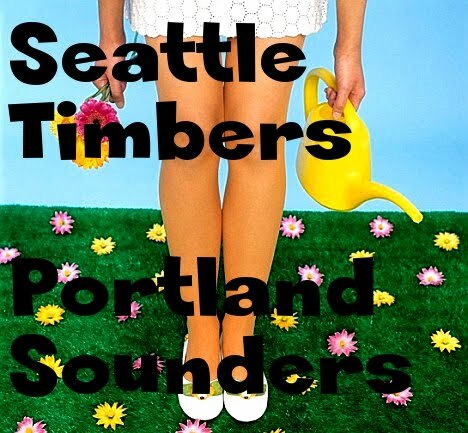 Portland and Seattle have made a classless move like that of defending a fake pitch. Both these teams have fake fields and it drives me nuts that either fan groups in that area of the country feel like that is okay. It seems to run counter to everything I've heard about Seattle and Portland. If there are any two cities in the country defending natural pitches and the benefits to sustainability and long term job creation, it's these two. No doubt I will be writing more about fake fields in the future. I read a tweet about the US Soccer Foundation giving three million dollars to put in fake pitches for kids over a half year ago and I'm still fired up about it. Maybe in 3 years they can put in another million to find the obsolete detergent needed to clean the bacteria filled plastic that is also now as hard as... well... plastic.